It’s hard to imagine this young woman will someday be a doctor.. but its true.. She is extremely bright and has the test scores to prove it. After a long hot bumpy ride in something that is reminiscent of a jeep.. we arrived at Manimegalai’s home. 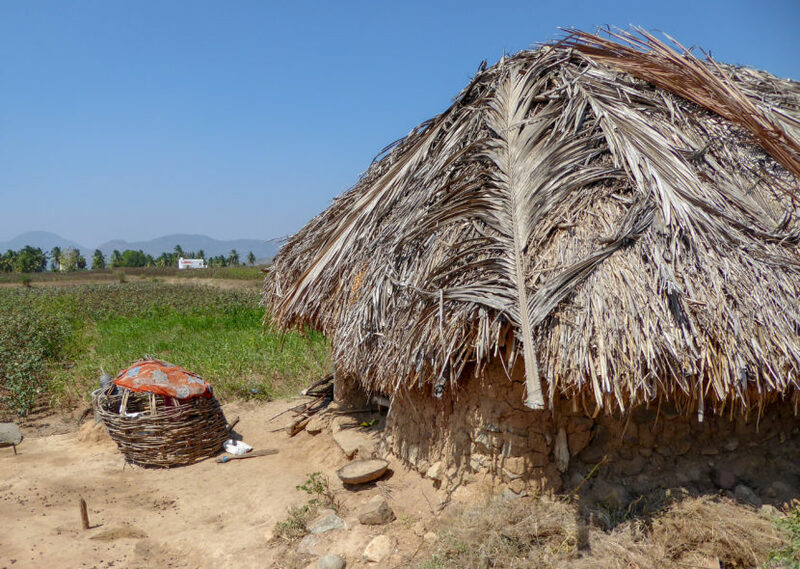 Mud and stone walls with a thatched roof and dirt floors. You wont find running water, a toilet, a bathtub or shower, a mattress, air conditioning or even a fan. 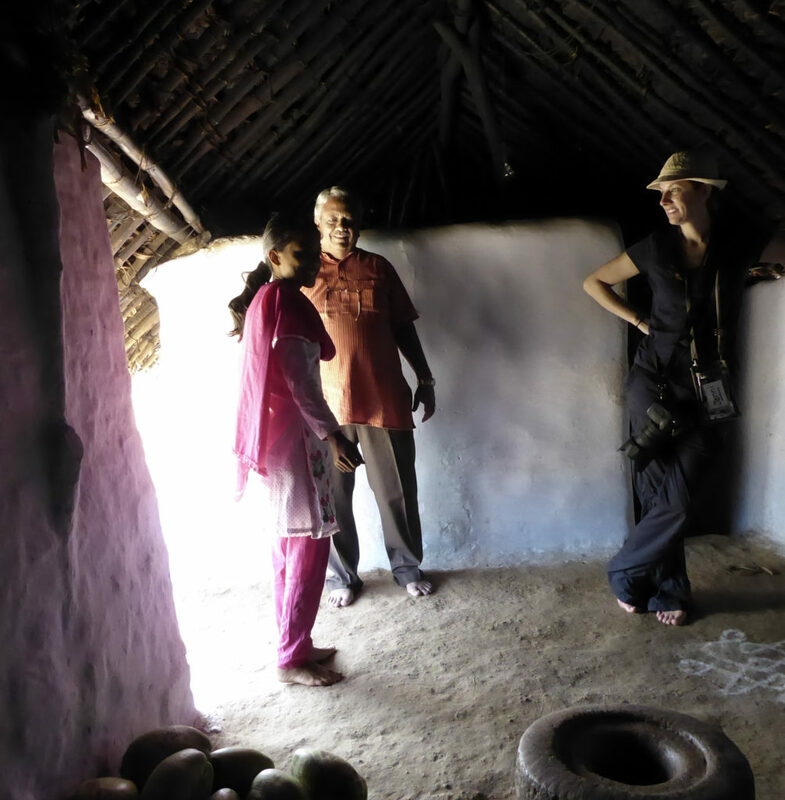 There might be a lightbulb hanging from the ceiling and a tiny black and white tv that the government provides to assist with education in these very remote villages. 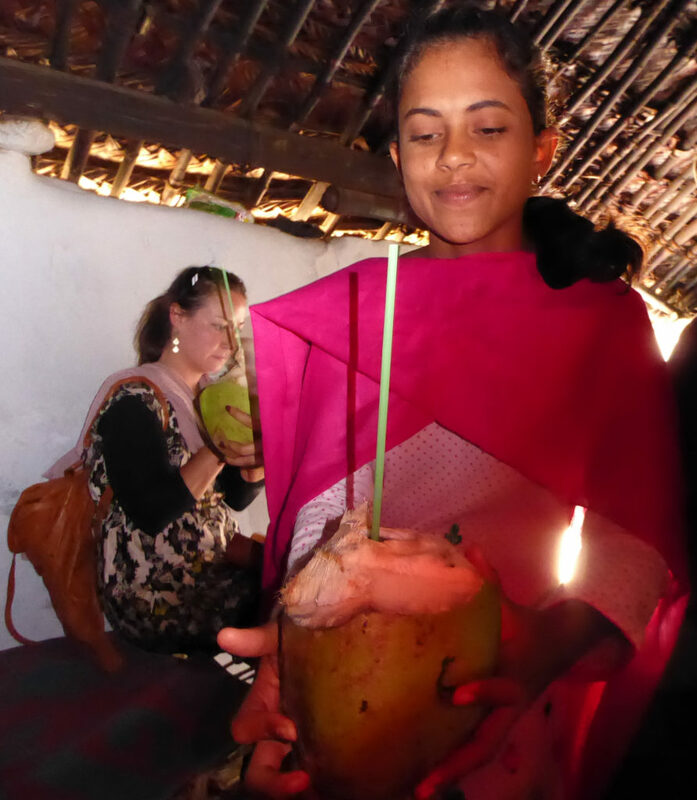 Opportunity and future are not common conversation for most girls living in remote villages of southern India. There is no car or other transportation to get her to Bethel Community College where she is studying to be a nurse. But if you ask her.. she will tell you in a shy but determined voice, she intends to be a doctor. I believe she will make it. She will walk miles everyday in blistering heat to hopefully catch a bus to school. She is tenacious. But, without the help of The Rhema Project her dream of any kind of future might be short lived. The Rhema Project’s program “ One 4 All “ provides financial assistance to this girl and many others like her for education, housing and other basic needs. If you want to help Manimegalai and others like her, go to www.therhemaproject.org website and donate what ever you can. The Rhema Project is a legal non profit 501C3 organization that is completely managed by volunteers. Over 95% of all funds collected go directly to the people who need it most. Gene Ort : Volunteer with The Rhema Project.